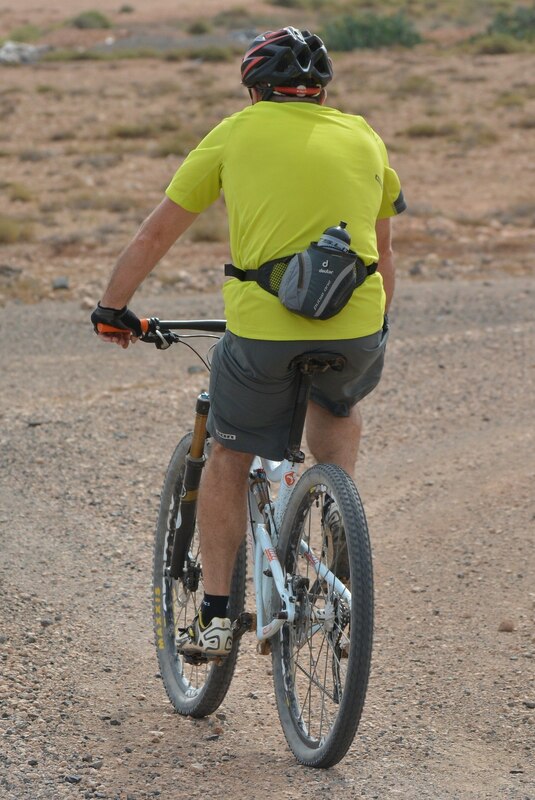 .. What to wear mountain biking will be the primary question for those who want to enter in this sport. But, the questions such as what to wear and where to go are second nature for those who love this sport. They already have all necessary kits and know the best routes and venues as per their skill level. But, this is not the case of beginners because they may not have any idea regarding where to start, what to wear, etc. You can surely ride a bike. But, you should consider all basic things that are necessary for progressing to intermediate level. Do not wonder yourself by standing in front of a bike shop. This ultimate guide will help you to pick the right attire for making a wonderful mountain biking. You should purchase several things straight away for your mountain biking. Besides, as a biking bug, it’s worth to invest on several other items. Bicycle is a very complicated machine. However, when you select a bike, you must consider some basic measurements. Most important among them is your height and inside leg. Yes, lots of cheap options are available online today. However, it is very easy for a beginner to make a wrong decision and end up with unsuitable machine. Your mountain bike must be fit properly and it must be suitable for the type of riding you will be doing. Most bicycle shops are handled by biking enthusiasts. They are always happy to answer all your questions. But, you must have good idea regarding the type of your bike and the things you must wear. There are mainly three types of mountain bikes. They are rigid, hardtail and full suspension. Rigid bikes lack suspension. These types of bikes reduce maintenance, means and save weight. This is perfect if you are a beginner off-road rider. However, these types of bikes are not suitable for rooty or rocky tracks. You can consider this bike only if you are not able to spend more money. A hardtail bike has a hard back end and suspension fork at the front. These types of bikes are helpful for tackling more technical terrain. These bikes are heavier than rigid bikes at same price category. But, these are lighter, cheaper and have better handling than entry level full suspension bikes. These types of bikes have suspension at both the rear and front. This is helpful for improving comfort and riding smoothly in technical terrain. Once you have decided the type of bike you want to purchase, the next biggest question is what to wear for mountain biking. What To Wear For Mountain Biking? Mountain biking is highly enjoyable and it is a great sport, but at the same time, it can be extremely dangerous too. So, you should not step out without wearing a helmet. In order to purchase a perfectly fit helmet, you must wear it before purchasing. Your helmet must be fit perfectly snugly and it must level on your head. It should not cover the top of your ears or obscure your vision. When you pull it back and forth, there should not be any excessive movement. All mountain bikers need not wear gloves. But, wearing gloves is a good idea because of high likelihood of crashing in the beginning stage. Gloves help you to reduce soreness due to vibrations from the bike. Full gloves are better during winters. However, you can purchase fingerless mitts for summer season. Lots of different brands with different padding and insulation levels are available in the market. Make sure to purchase the right one for you. Punctures are inevitable in mountain biking. But, they may not slow you down for long if you are fully prepared. Puncture repair kit and trusty pump are the two essential bits of kit. You should never forget them during your journey. You can also buy a multi-tool, which is helpful for carrying out basic trail side repairs. Possibility of hitting a fly or other foreign objects on your eyes is very high in mountain biking. So, you can wear clear sunglasses to protect your eyes. You can wear them all year round. Some riders wear glasses with interchangeable lenses, which include a yellow one for poor light and overcast conditions. T-shirts are fine for mountain biking till they get wet either your sweat or from rain. Wet T-shirts soon become clammy and cold, so you can consider purchasing a riding specific top, which is helpful for drawing moisture away from your body. Huge numbers of different clothing ranges are available in the market. However, you must keep in mind that it must perfectly fit your body shape and you must also be comfortable when you sit on a bike. Ensure that you can stretch upward. The sleeves of the top should not end up around your armpits. You can select a top depending on the weather. The rules of tops and bottoms are similar. The shorts and tops must provide you topmost comfort while riding your bike. The body shape of each individual is different. Therefore, you must select the best one as per your body shape. Lots of different styles of cycling shorts are also available. If you are a beginner, you need not sit in a saddle for long time because it can be uncomfortable for beginners. Padded tights or shorts feel odd when you try at the first time. But once you started sitting on the saddle, padded ones become your best friend. Socks are also equally important as gloves for the same reason. Socks are helpful for protecting your feet from getting cold and getting blisters. But, you must select bike-specific socks. Breathable materials help to carry moisture away from your skin. Waterproof socks are also available today. You must stay hydrated when you are riding. Therefore, it is always better to invest in a hydration pack. These types of packs have lots of pockets. So there are plenty of rooms for accommodating all your extra bits such as first aid kit, a phone, cash, pump and puncture, etc. Now, you are ready with all the basics. You are also equipped with in-depth knowledge regarding what to wear mountain biking, what to wear for mountain biking, etc. So, go straight to the shop and purchase everything. Get ready for a splendid and most adventurous mountain biking! Just keep on visiting this site for acquiring skills and knowledge for becoming an expert in mountain biking! !